Bonfire Night, also called Guy Fawkes Night is an annual celebration here in the UK. Whew. I JUST googled this myself so I’m glad to now know the backstory (For any V for Vendetta fans. you know that V is just a man wearing a Guy Fawkes mask and he destroys the Parliament in the end). 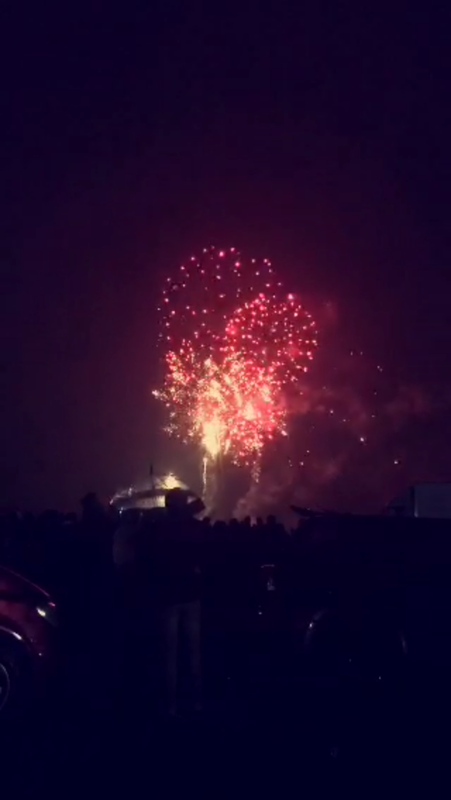 So Guildford has its annual Bonfire night celebration at Stoke Park (about a 20 min walk outside the Town centre) and last year I didn’t go. Mainly because it rained a lot and I didn’t really know what it was. 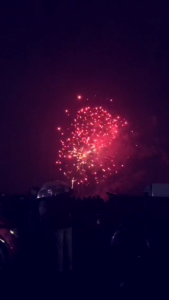 This year, however, I was determined to join in the event so I and a few of my friends made our way to Stoke Park at 7:30 pm on the 5th of November. 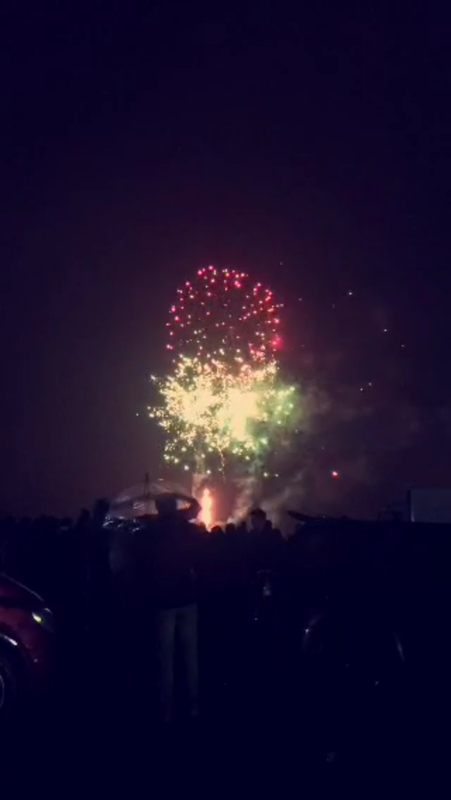 Anyway, the fireworks were due to start at about 8:30 and boy was it amazing. It was 15-30 minutes of bright lights in the sky and as a REAL big fan of fireworks, I was in awe. All in all, it was a pretty cool first time experience. I’ll most definitely be going next year, probably taking some cash with me so I can whiz around in some of those rides before the fireworks start! 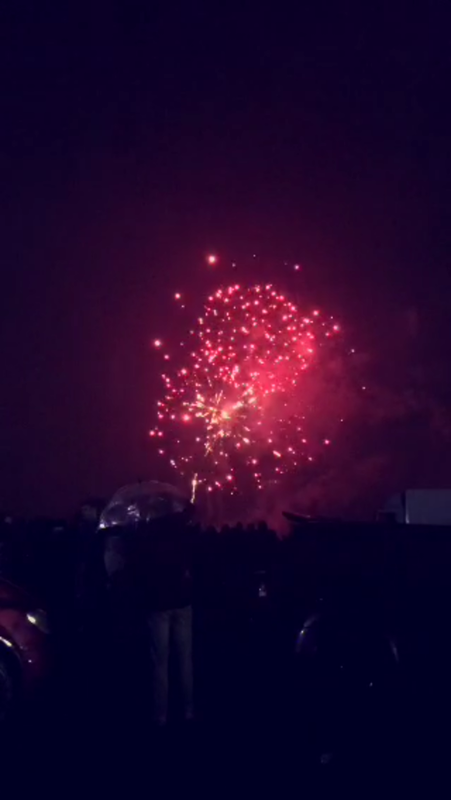 I took a few photos of the fireworks (see below), because I realised that no one really wants to see a 200 second snapchat story about bright lights repeatedly shooting up into the sky.